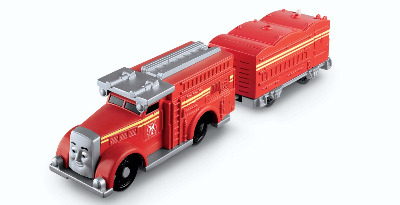 Flynn is a "really red fire engine" who fights fires on Sodor and is part of the Sodor Search and Rescue team. He has both tyres and flanged wheels, meaning that he is capable of running on roads and on rails. Flynn is fast, fearless, and ready to fight any fire.